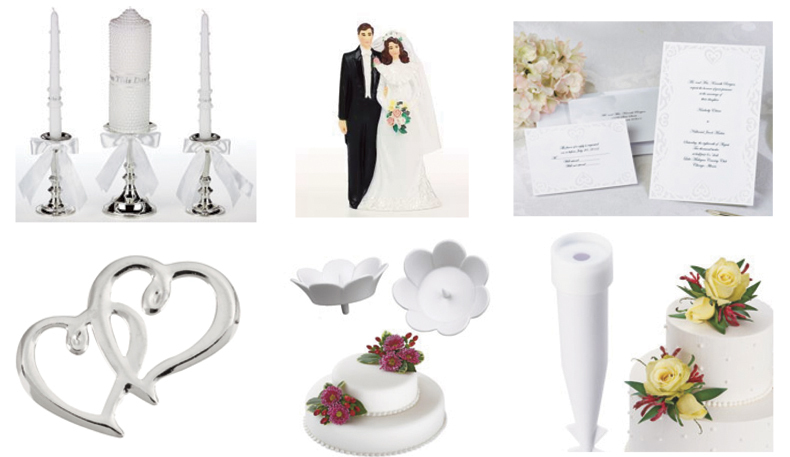 For the Gracious bride with Great Taste create your wish list and e-mail it to them! Additional Policies:If you are a retail store or a commercial place interested in placing a wholesale order, please send an email to info@universalkitchentools.biz or call (516)-792-1894. We will get back to you as soon as possible with complete information for wholesale ordering. Payment: Universal Kitchen Tools accepts Visa, MasterCard, American Express and Discover. Confirmation: After you have placed an order a confirmation letter will be emailed to your email address to provide the order status. Please make sure your email address is current. Return/Exchange: We offer a 100% satisfaction guarantee. If for any reason you are not happy with your order, we will gladly accept a return for exchange or refund within 7 days from the date of shipment. Please contact us at (516)-792-1894 or email:info@universalkitchentools.biz prior to returning any product for us to issue a RA (Return Authorization) Return or exchange label. Cancellation of a Product: If for some reason you change your mind and want to cancel an order you have placed online, please contact us at (516)-792-1894 or email info@universalkitchentools.biz within 24 hours of placing the order and we will cancel your order with no obligation. We ship and handle our products within 5-7 business days of receipt of order, unless if the order is a expectations apply and excluding Sundays and holidays. Shipping/Delivery: All orders are shipped UPS unless otherwise noted to be shipped by USPS or FedEx. If you have any questions or concerns please feel free to contact us at (516)-792-1894 or email info@universalkitchentools.biz. In 2004 CEO Mark Getman developed the company Universal kitchen tools(Kitchenastic) with a vision of designing, manufacturing, and supplying the highest professional/commercial kitchenware backed by a commitment to exceed customer expectations.Mark Getman’s recent wife, Lisa Getman, shares his enthusiasm and passion. She has been running Universal kitchen tools (Kitchenastic) for one year. As Vice President, she continues to add and build Universal kitchen tools to its greatest expectations. Universal kitchen tools (Kitchenastic)is a leading supplier of distinctive kitchenware. We are consistently at the forefront of product innovation. We import and create the cutting edge products and introduce our customers to the latest technologies and industry innovations. Can’t locate a product on our website, give us a call at 516-792-1894 and we will try to find the product that you’re looking for. Our products reflect the utmost in quality and our manufactures with their superior materials and craftsmanship. Universalkitchentools (Kitchenastic)is a solid company filled with energetic, passionate people who are eager to meet your needs and serve you well. Everything we do is about offering our customers quality products, quality service, and a quality experience. As always, we continue to provide a secure and positive environment where each member of our team is a valued and appreciated resource. Universal kitchen tools(Kitchenastic) is dedicated to meeting your needs. We look forward to a future of continued success with you and your company as always our valued customer.